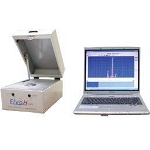 The ElvaX Art XRF Analyzer is a new unit to joint the family of portable X-Ray Fluorescence (EDXRF) Spectrometer systems produced by Elvatech Ltd. 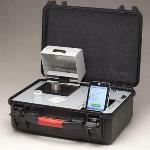 This mobile spectrometer, portable system, designed specifically for art analysis, includes a CCD camera and small beam. 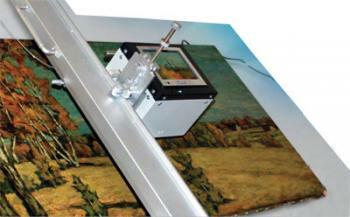 This makes it possible to accurately measure a small selected section of an immobile artefact, painting, or metal article. 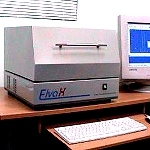 The ElvaX Art XRF system is designed to be used with the ElvaX software package and a desktop or laptop computer, creating a powerful tool, more versatile than typical handheld or desktop systems. 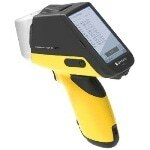 Compared to other techniques, ElvaX Art XRF Analyzer has the advantage of being non-destructive, multi-elemental, fast, and cost-effective. The analytical head of the ElvaX Art Spectrometer can be mounted on the manual or motorized dual-axis positioning stage, or on the robotized arm for onsite analysis. 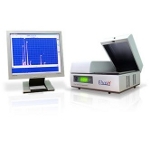 The ElvaX Art XRF system can be used to qualitatively analyze and identify elements in mineral pigments, such as Titanium, Lead, Chromium, Copper, Zinc, Iron, etc. Additionally, it will determine elements in glass, ceramic and obsidian, as well as precious & non-precious metals assay. ElvaX Art can also be utilized for stone tool and metal artefact identification or with numerous museum artefacts. 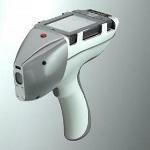 With non-destructive X-Ray Fluorescence, objects and samples remain intact and unharmed.